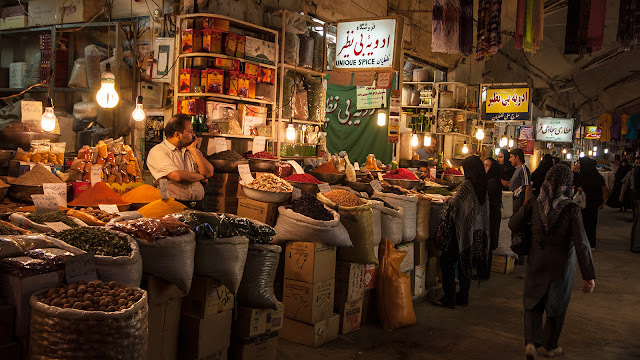 We often heard the word market and imagine a Persian market full of people offering all kind of products. In a sense this encompasses what the market is about, but "the market" as an economic term is more abstract and meaningful. What is a market? the market is one of the institutions, systems and social relations whereby economic agents engage in exchange. The market is the physical or virtual place where buyers and sellers meet to trade. Even though it is possible to exchange goods and services through barter, in most markets the parties use money as a mean of exchange. Through the market, the demand and supply establish the prices of the goods and services of the economy. However, this equilibrium depends highly on the market structure and can be altered by market failures or external agents like the government. The financial market is the place, system or mechanism whereby parties buy or sell financial assets. It can be physical or virtual, but its end goal is the same; to facilitate the exchange between buyers and sellers and determinate the prices of the financial assets. Stock market: individuals and organizations trade stocks. Commodity markets: trading of goods from the primary economic sector like coffee, rice, oil, or gold. Bond markets: based on the issue of debt, or the buying and selling of debt securities. In the labor market workers offer labor services (work) in exchange for a wage and employers demand work. This market works similar to the market of goods and services. However, the labor market may act as a non-clearer market. Labor is seen as a factor of production, just like capital and land. This exchange determines wages, employment, and incomes. Macroeconomics study this market through variables like participation rate, unemployment and employment rate, and labor force. While microeconomics focus on the maximization of profits (firms) and utility (workers). This market is the less visible and more abstract because usually there is no physical location. The goods and services market is the best-known market. In this market, companies offer products and services to families or other companies. Some examples of goods and services market are supermarkets, farmers' markets, hairdressing, restaurants or even internet markets (e-commerce). In perfect competition, each business produces identical goods with no differentiation, the products offered by one company can be substitutable by others and there are no barriers to entry, fixed prices or brand differentiation. Furthermore, in this type of market, there is a large number firms and consumers. Sellers are obligated to sell at equilibrium price otherwise they would lose sales to its competition. Businesses are price-taker, so they can't influence the market price. This conception is mostly theoretical because in reality it is almost impossible to meet the necessary characteristics to have perfect competition. Probably the best example of a market with perfect competition is the stock market. In a market with monopolist competition, each firm produces slightly differentiated products (brand and quality). This gives market power to the firms which allow them to charge higher prices (compared to the perfect competition). The goods in this market are substitutes but not perfect substitutes (like PlayStation and Nintendo). This type of market is common among products manufactured by big companies with powerful brands, like the market of cars, computers, TVs, or cereals. One example of monopolist competition is the market of smartphones. In this market, Apple offers the iPhone (only Apple sells the iPhone). This makes Apple a monopoly in the market for iPhones, but the iPhone is offered in a market with substitutes hence Apple has to compete with other producers. 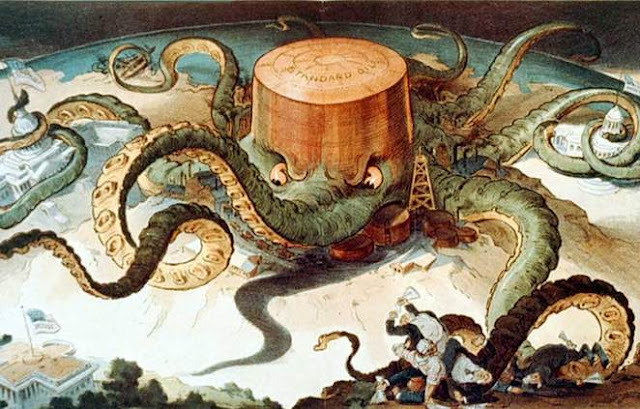 Compared with the Oligopoly, the monopolist competition is more competitive as a consequence of a larger number of companies in the market. Monopoly is a type of market where only one firm controls all the supply. The producer has no competition so the monopoly can set the market price to maximize its earnings. In this sense, the monopoly is the polar opposite of perfect competition. Buyers in this type of market are in disadvantage because they must adapt to the quantity, quality, and price offered by the monopoly. Natural monopoly: economies of scale cause efficiency to increase continuously with the size of the firm. e.g., metro systems. The oligopoly is similar to monopoly, but instead of only one producer, there is a handful of producers. This results in limited competition. Even though oligopolists don't have the same pricing power as monopolists, its is possible for them to collude and set higher prices. Contrary to monopoly, in the monopsony, there are multiple sellers but only one buyer. The buyer has significant power to determinate the prices of the market. An example of monopsony is a banana trader that buys all the production of the region or country. In the last two centuries, the geographical scope of markets has increased dramatically thanks to technological developments in transport which have reduced transport costs. This expansion benefits consumers as it increases the competition among firms and reduces the prices. An example of this are local libraries: 20-30 years ago in many towns, it was common that only one library sold books. Nowadays thanks to the Internet people can buy any book, digital or paperback from anywhere and cheaper. The black market is a where illegal goods and services are traded. Due of its illegal nature, it operates outside the formal economy. The most common causes of black markets are smuggling, high taxes, price controls, and quality and quantity restrictions. Some examples of black markets are illegal drugs, exotic animals, prostitutes and forced labor. The market is one of the institutions, systems and social relations whereby economic agents engage in exchange. Financial market, labor market and goods and services market. Perfect competition, monopolistic competition, monopoly and monopsony.